Obituary for Kandy Ann (Weiland) Slowey | Edwards Memorial Funeral Home, Inc.
Mrs. Kandy A. 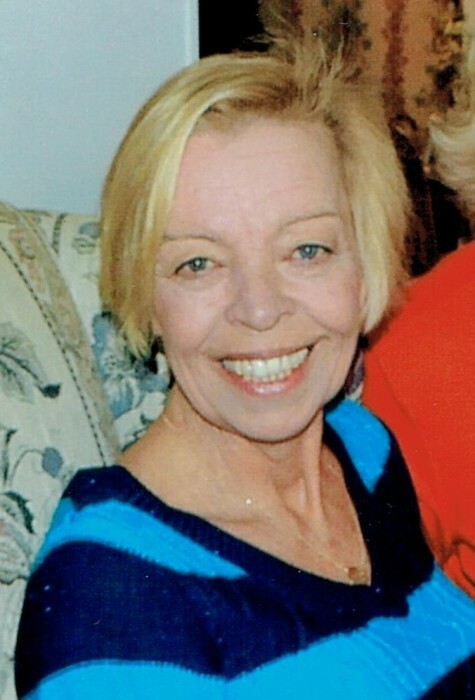 (Weiland) Slowey, 62, of Bellingham MA, passed away Friday (January 25, 2019) at her residence after an illness. She was the beloved wife of John P. Slowey. Kandy was born in Westfield MA, the daughter of the late Edward R. and the late Nancy A. (Hillman) Weiland. She attended Westfield public schools, graduating from Westfield High School, Class of 1974, where she was a member of the cheerleading squad. Kandy had been employed in the food service industry as a waitress for many years, working at numerous restaurants over the years. Kandy was an avid cook, and loved spending time at the beach and at her pool. She also loved to golf and do crafts. As a young woman she was an accomplished competitive roller skater and was a one time Massachusetts state champion. One of her favorite activities was being a member of the supportive day care group at the Bellingham Senior Center. Along with her beloved husband of twenty-five years, she is survived by two sisters: her twin sister, Karen Weiland of Jupiter FL and Donna Krutka of Westfield MA; one brother: Robert Hillman and his wife Kathy of Westfield MA; also several nieces & nephews; two grandnieces & cousins. Relatives & friends are invited to extend condolences to her family on Tuesday (January 29th) from 4pm to 7pm at the Edwards Memorial Funeral Home, 44 Congress Street, Milford MA. Committal services will be held Friday (February 1st) at 10am at the Massachusetts Veterans Memorial Cemetery, 1390 Main Street in Agawam MA. Visiting hours will also be held Thursday (January 31st) at the Firtion-Adams Funeral Home, 76 Broad Street, Westfield MA from 4pm to 7pm. In Lieu of flowers, memorial donations may be made to the Bellingham Council on Aging, Day Care Services, 40 Blackstone Street, Bellingham MA 02019 or to Salmon VNA & Hospice, 37 Birch Street, Milford MA 01757.